Art of the Isle has been located inside of the Islesboro Community Center on Islesboro, ME since 2011. It features the work of over 30 island artists and provides the community a place to purchase local, hand-crafted products from artists who live on the island for at least part of the year. The gift shop operates on the cooperative model where artists share the time required to cover the shop during open hours. Artists’ work is consigned to the shop and, in addition to time, artists donate twenty percent of the item’s sale price to support the Islesboro Community Center. Islesboro is a 14-mile long island located three miles off of the mainland in the Penobscot Bay of Maine. It is home to 500+ year-round residents. The population swells to upwards of 1500 in the summer. 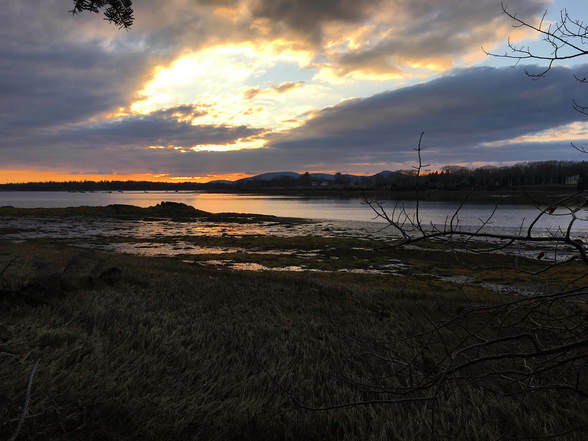 Islesboro has been inhabited since the early 1700s, and many of our founding families have descendants who still call the island home. The Islesboro Community Center has been a fixture in the Islesboro community for many years. In 2010, after years of fundraising, a new and improved building was unveiled to the public. It is the center of the community and hosts a variety of programs, provides health and wellness providers office space, has a fitness center, fun programming for children in the Zone, and many other vital community services. It is home to Art of the Isle and Bluewater Bakery.